This unique and useful book helps parents or any caregiver entertain children during a crucial period in their development, and not feel worn out in the process. Geared to the rhythms of family life, these simple activities require a minimum of energy and equipment and can be carried out over the course of an ordinary day or for a special event. Many incorporate ordinary household chores. 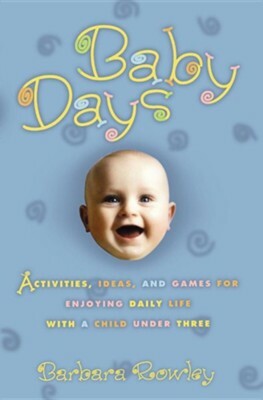 The activities in Baby Days are conveniently organized by age as well as time of day. I'm the author/artist and I want to review Baby Days: Activities, Ideas, and Games for Enjoying Daily Life with a Child Under Three.